If you read Bored Panda, then you're no stranger to the works of Kerby Rosanes and his beautiful Moleskin illustrations. 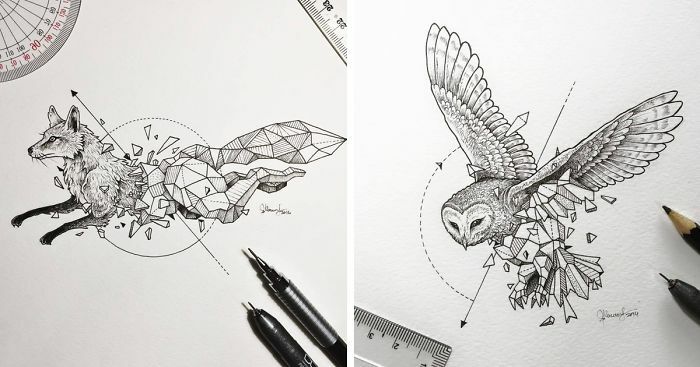 Now, the Philippines-based artist, also known by his Internet handle Sketchy Stories, is back with a series titled Geometric Beasts. Rosanes uses only ordinary black pens to create his doodles, this time blending wild animals with geometric forms. If you'd like to check out more of his work, see his detailed doodles here. Or, if adult coloring books are more your style, then check out Doodle Invasion. Very nice! How long did it take ? This would so make a nice tattoo! Awesome! I think he should be holding a fish in his mouth, or something though. what brand of mechanical pencil is that? looking for something better than I have. #10 looks like a good tattoo. It looks to me like all the animals are breaking out of some kind of stasis. 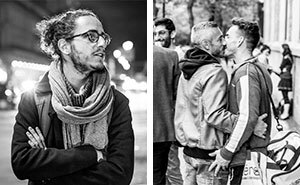 Freeing themselves. Very, very cool. Is there a copyright at those drawings? yes. copyright is automatically given to the creator, regardless of whether it was published or not. If not specified otherwise, then yes.